growth across business segments and benefit of favorable currency. 27% on the back of 16% revenue CAGR coupled with margin expansion. 25-50% discount to its historic and peer valuation. Reiterate Buy with target price of INR500 (14x FY14E EPS). higher double digit-growth in this business over next couple of years. 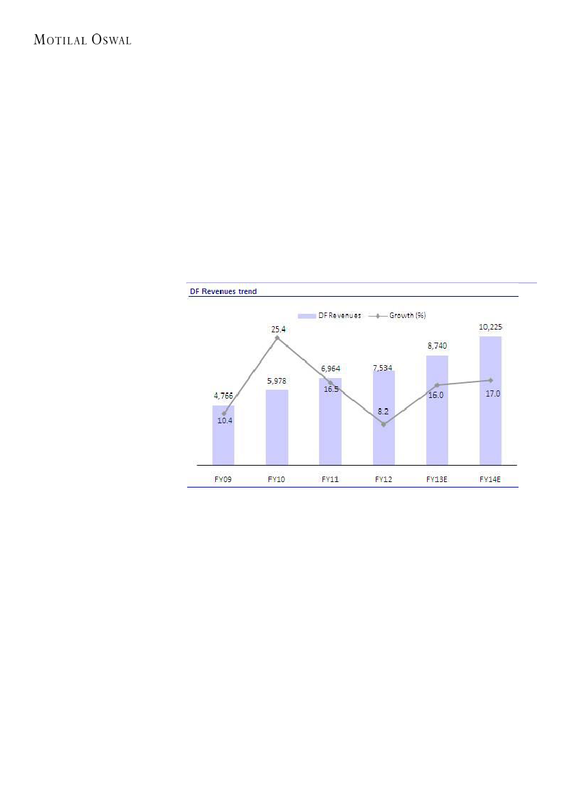 growth in FY12 as a temporary blip. approval for 12. It plans to file 8-10 ANDAs every year going forward. 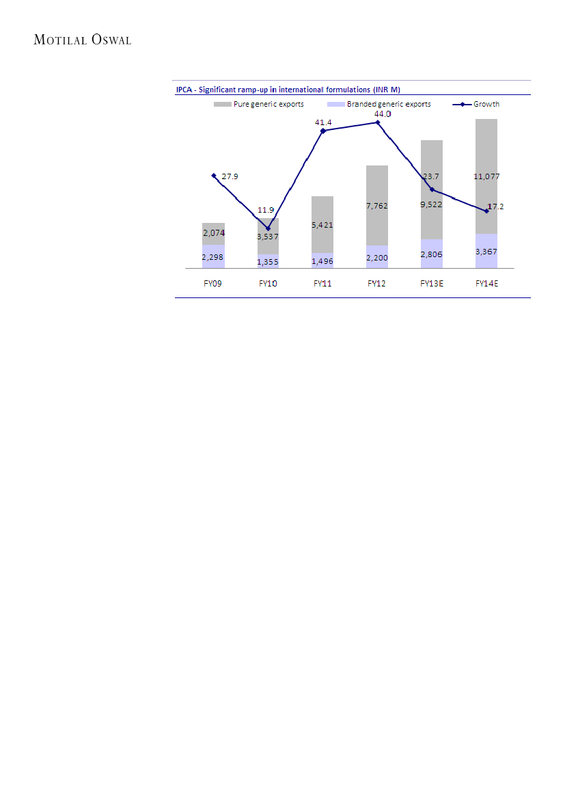 We estimate this SEZ to contribute ~USD5m to IPCA’s topline for FY13. 3 years), the SEZ can generate sales of USD80-100m. significantly high EBITDA margins at ~30%. tender business for the product. factor in this expected ramp-up. US FDA approval for the SEZ. Europe were impacted due to implementation of new packaging system. start supplying APIs in domestic market and in semi-regulated markets. markets as the facility will have to get approvals from regulatory agencies. We expect the business to report single digit growth till such time. of 27% on the back of 16% revenue CAGR coupled with margin expansion. 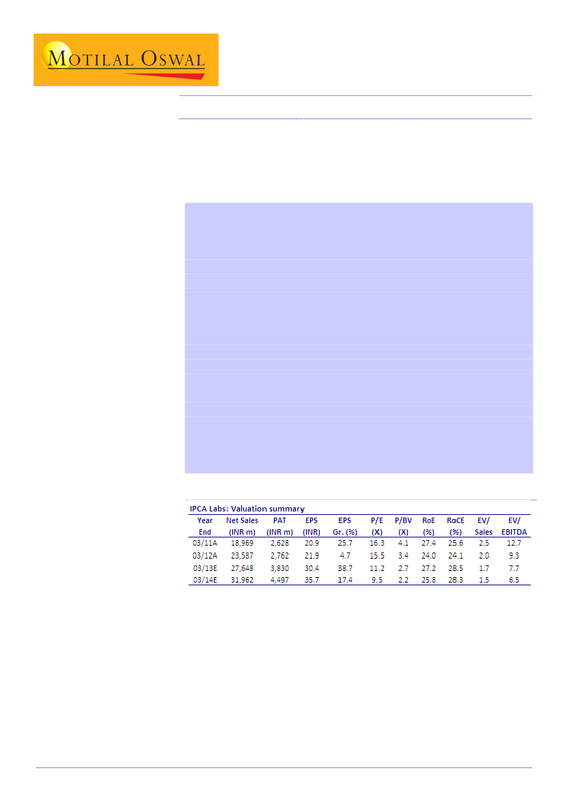 EBITDA growth due to absence of large forex losses reported in FY12. likely to record healthy return ratios and low gearing. trades at 25-50% discount to its historic and peer valuation. based in the U.S., Motilal Oswal has entered into a chaperoning agreement with a U.S. registered broker -dealer, Marco Polo Securities Inc. ("Marco Polo").